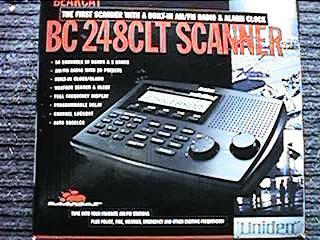 UNIDEN BEARCAT 248clt 30 CHANNEL 10 BAND 5 BANKS, EASY TO SEE FULL DIGIT DISPLAY, PRIORITY, WEATHER, 29 TO 512 MHZ. 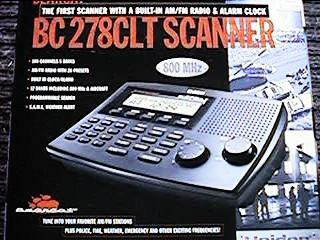 UNIDEN BEARCAT BC 278CLT 100 CHANNELS FULL FREQUENCY DISPLAY, AIRCRAFT, AUTO WEATHER ALERT, 29 TO 956 MHZ, FAST TURBO SCAN, POLICE ,FIRE ,AIR, HAM RADIO . 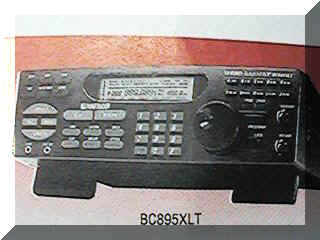 NEW BEARCAT 8 XLT SCANNER WITH MANY GREAT FEATURES SUCH AS SERVICE SEARCH FOR RR, AIR, MARINE, FIRE, POLICE, CB, HAM AND MORE.